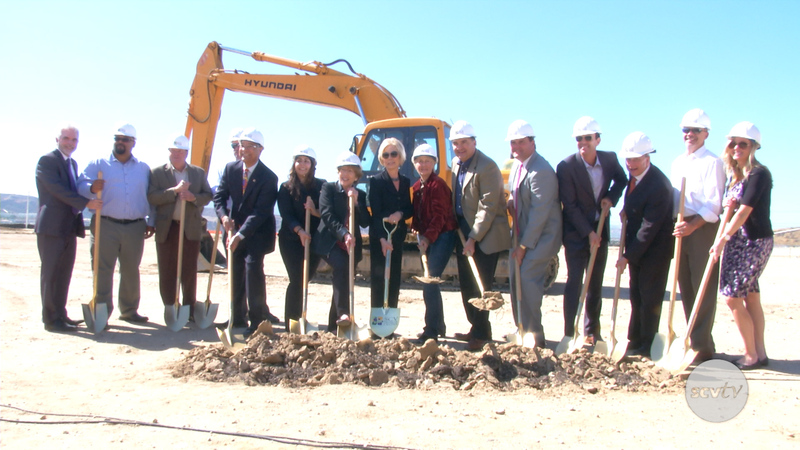 City officials, State officials and SCV Senior Center officials and volunteers broke ground on Golden Valley Road to celebrate the start of construction for the new SCV Senior Center. The new state-of-the-art, 30,000-square-foot, two-story venue will be centrally located at Golden Valley Road and Newhall Ranch Road in Santa Clarita. The new facility will feature a luxurious banquet hall with seating for over 250, a fireplace lounge/library, six multi-purpose rooms, a fitness center, dance studio and an outdoor cabana with concert seating. Next groundbreaking on the 14 free way!